Thailand has always been the country for travellers to get lost in. Whether it is on the beaches of Phuket, the wild trails of the Umphang Valley or in the never sleeping streets of Bangkok, there is always some place to hide away from the frustrations of a modern world. However, as they soon find out, Thailand is also a place where travellers can take a step back in time through its natural landscape, historic sites and remote villages. 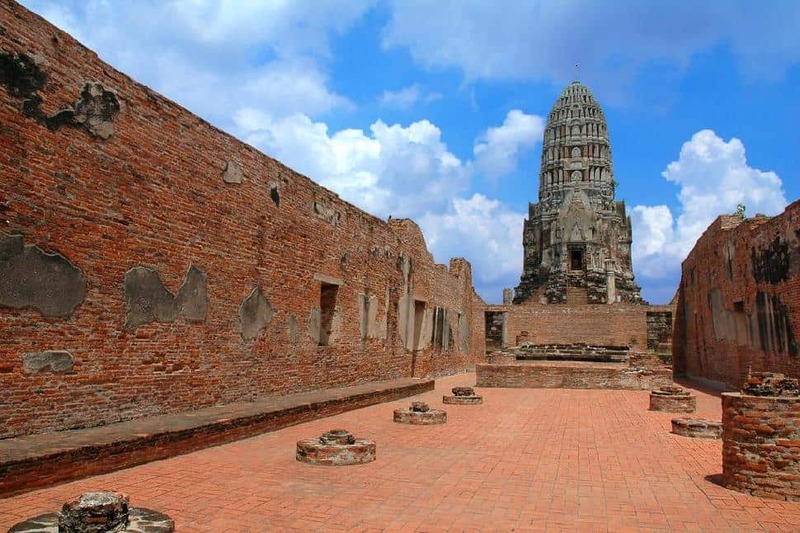 Here are six places to find ancient history in Thailand. Founded in 1350, the city of Ayuthaya has become one of Thailand's most famous historical sites. It sits in the Chao Phraya River Valley and is surrounded by three rivers that connect it to the Gulf of Thailand. The city served as the capital of King U Thong's kingdom, the Ayuthaya Kingdom, but it is better known as Siam. Although it was once considered the most magnificent city on Earth, it sits abandoned, slowly succumbing to the trials of time. That said, it is certainly not ruins yet. The spired buildings still standing, and are awe-inspiring even as they begin to show their age. For those who truly want to take a step back in time, the best way is to visit its most remote villages. However, this can be a challenge for those that don't have a guide or know the language. For those sort of travellers, which are most who visit Thailand, there is Pai. 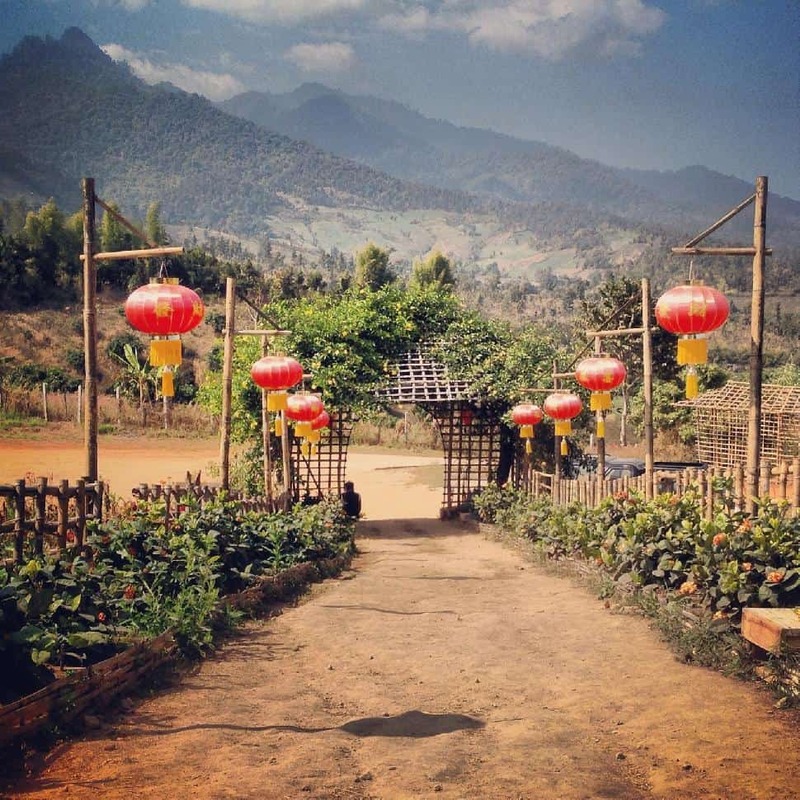 The village of Pai was once just a quiet little village in northern Thailand, but now it sit along the Mae Hong Son Loop that stretches between Chiang Mai and Mae Hong Son. For those who take a mini bus in between these two cities, Pai is a popular stopping point. It sits, now connected to the world, in Pai Canyon along the banks of the Pai River. Little has really changed since the road went in; villagers still live in simple houses and fish along the banks of the river. It is a bucolic place, but that is all part of its beauty. 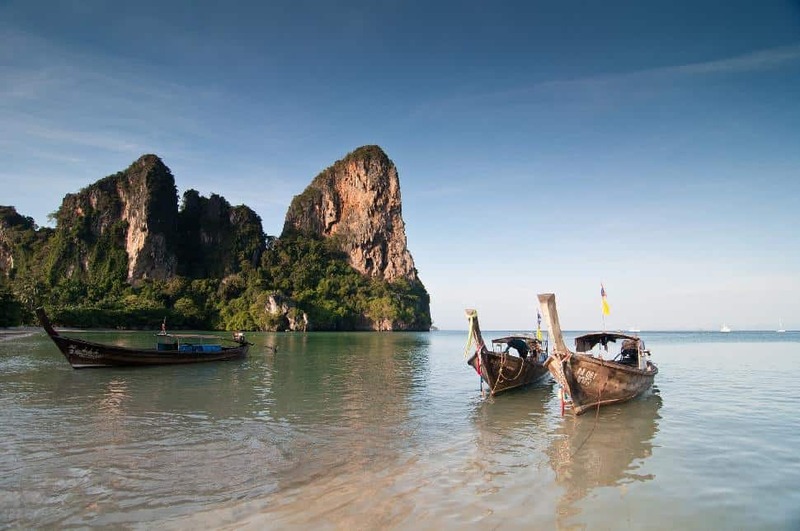 Thailand is renowned for its islands and island hopping remains a favorite activity of visitors. However, popular islands like Ko Phi Phi have become almost as busy as downtown Bangkok. For those seeking an island in an enjoyable, undeveloped form that begs to be explored, travellers should head to islands like Ko Tarutao. This island is part of the 51 islands that comprise the Tarutao National Marine Park archipelago in southern Thailand. Like most of Thailand's untamed islands, the greatest attraction of Ko Tarutao is its wildlife. Visitors are likely to see sea turtles, whales, monitor lizards, macaques, mouse deer and more. Most travellers who island hop with the interest of snorkelling skip Ko Tarutao due to the murkiness of its waters, but it's unspoiled beaches, great hiking and tall waterfalls provide enough activity to make up for it. Wat Arun is easily the most iconic temple in Thailand. Sitting on the waters of the Chao Phraya River, opposite the Grand Palace and the Wat Pho, this massive temple lights up the Bangkok skyline with its golden glory. Built in the 17th century, the temple was given the full name of Wat Arun Ratchawararam Ratchawaramahawihan, but that is a serious mouthful, so it is usually just referred to as the Temple of the Dawn, and for good reason. When the sun sets, the whole temple is basked in light that makes it glow as if it were gold. 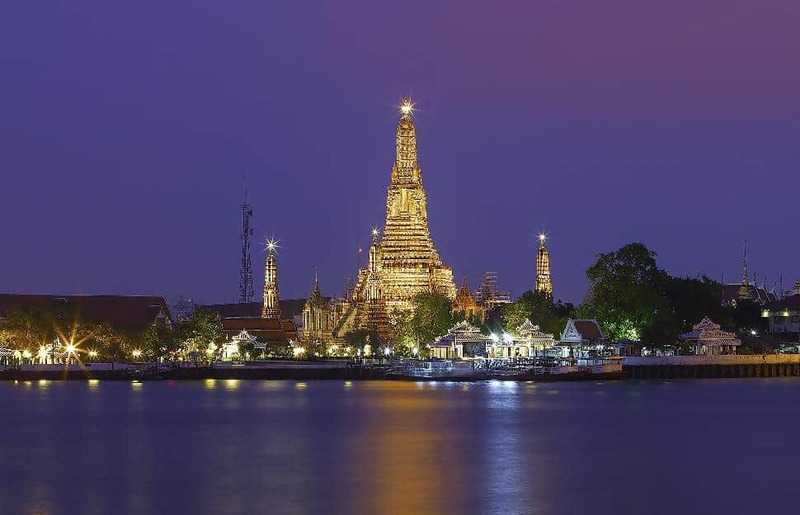 The distinctive shape of Wat Arun consists of a central Prang (a Khmer-style tower) that is surrounded by four smaller towers, all of which are encrusted with faience of plates and potteries. Although steep, travellers should definitely climb the stairs of the central tower. It is certain to be tiring, but the view from the top is among the best in the city. Railay is a small peninsula that is truly one of the most natural places in Thailand. Railay is difficult to access. There is no development and visitors get to see a piece of Thailand as it has been since the land was formed. 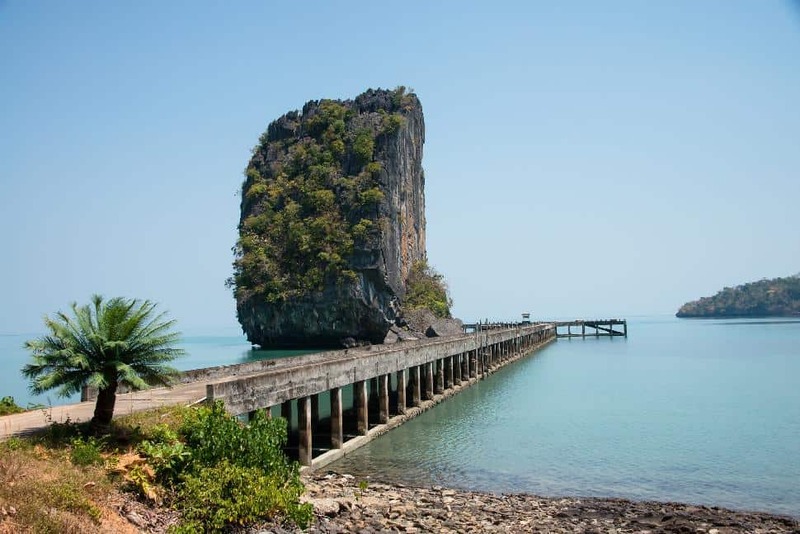 Due to the limestone cliffs that jut out from the mainland, Railay is only accessible by boat. The limestone cliffs guard a secluded white sand coast and thick tropical forest that is packed with vegetation, wild fruits and alive with thousands of species of wildlife. Many travellers come here for the peace and quiet, but on the most seasonable days, the beach is lined with small paddle boats and visitors popping in and out of the water and jungle. The ancient village of Ban Chiang is home to the oldest prehistoric bronze-age settlements ever found in Southeast Asia. It sits outside of the modern town of Udon Thani in Isan, but it is little more than ruins. 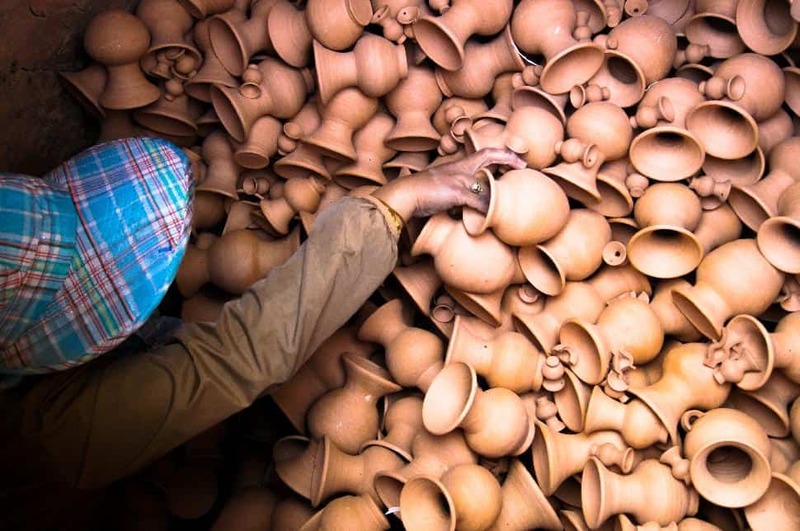 Since its discovery in 1966, scientists have been busy excavating pottery fragments, bones and other artifacts that date back as far as 2000 BC. Visitors can tour the nearby museum of Ban Chiang or walk through the excavation site itself. This old ruined village is not quite as thrilling as the other sites of old history in Thailand, but it is thought to be one of the oldest lands in the country inhabited by non-nomadic human beings. Visitors who stroll through these ruins are rather literally walking through a piece of ancient history.